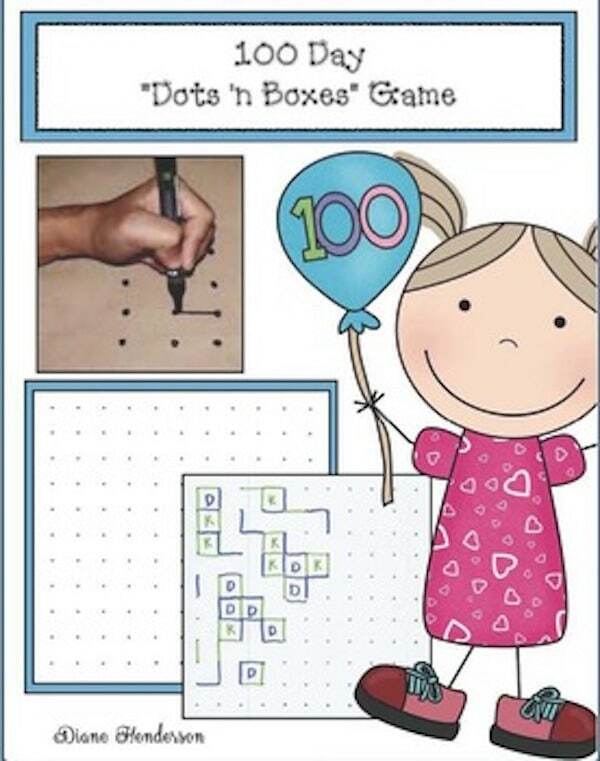 The “Dots and Boxes” game was first published in 1889 by Édouard Lucas. 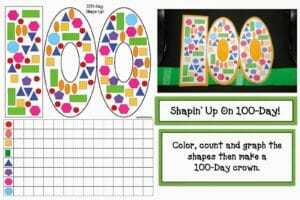 I thought it would make a quick, easy and fun game of strategy for students to play anytime, but specifically for 100 Day, as I made a 100-box grid. 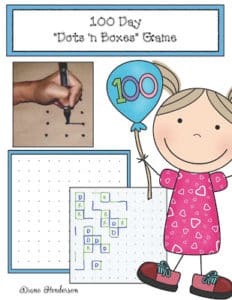 Children choose a partner and take turns connecting 2 dots by making a line between them. box, you get to write your initial in it. When all 100 boxes have been made, students count up how many they have with their initial in them. The one with the most boxes is the winner. complete the box by drawing the line that makes the 4th side. 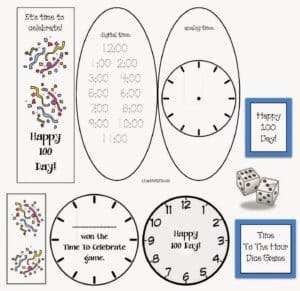 Click on the link to zip on over where the “Dots & Boxes” game is today’s featured FREEBIE.